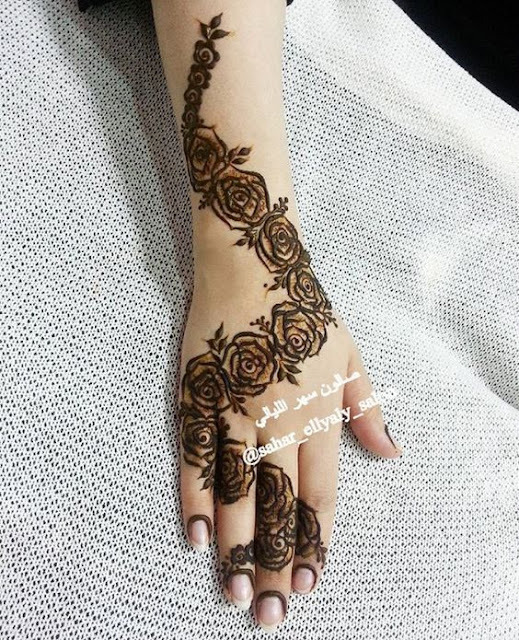 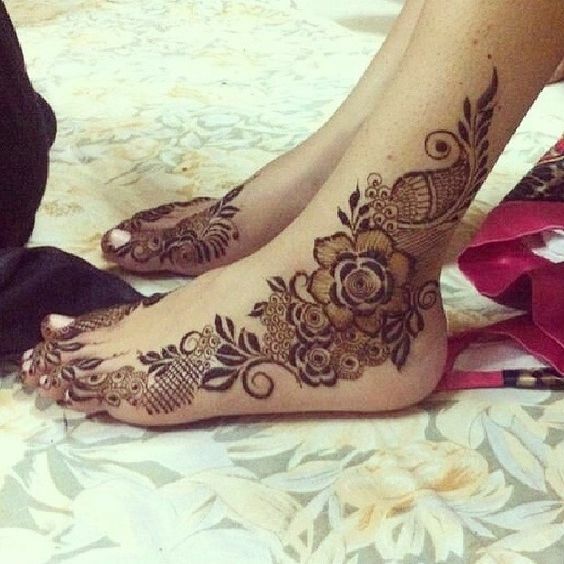 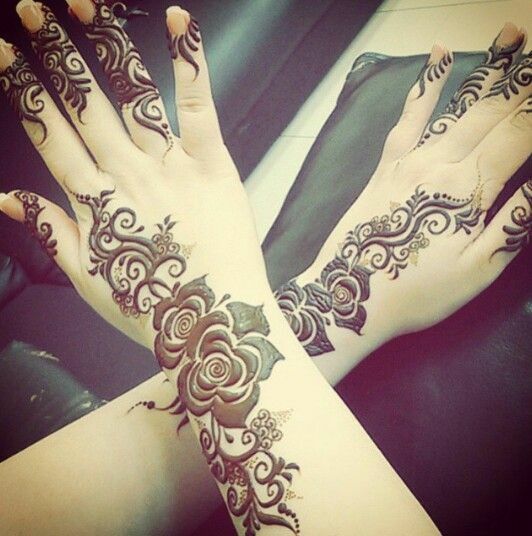 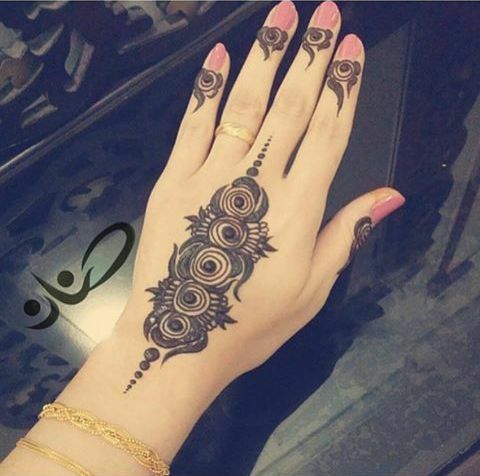 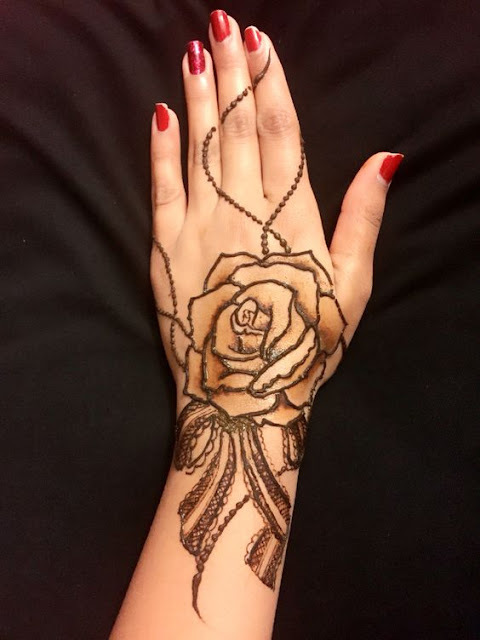 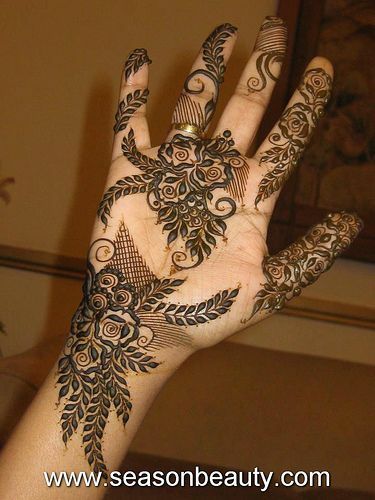 Floral motifs are very common in henna mehndi designs but roses in mehndi isnt very popular. 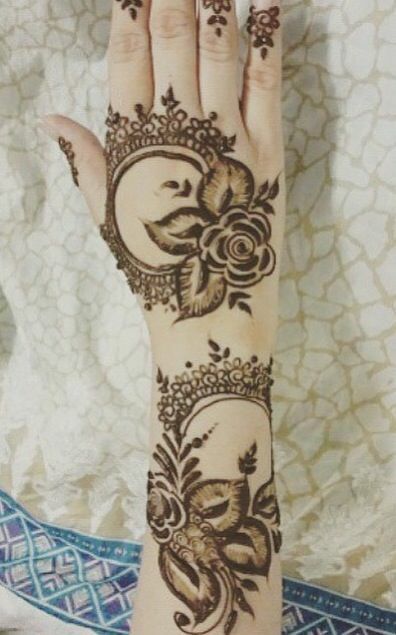 If you want a girly soft floral touch in your mehandi and want it to be unique too then try rose mehndi designs. 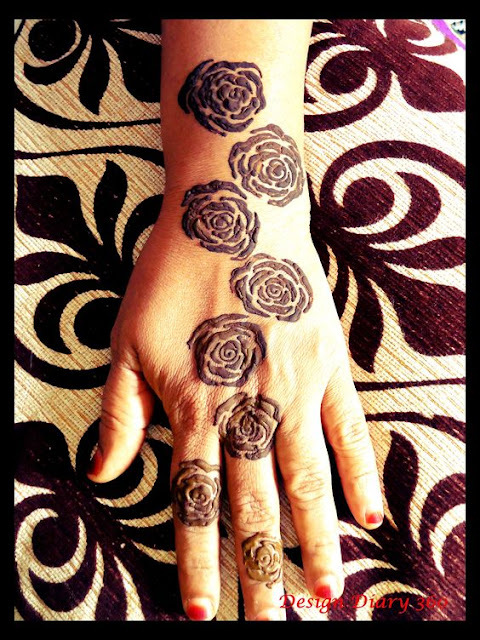 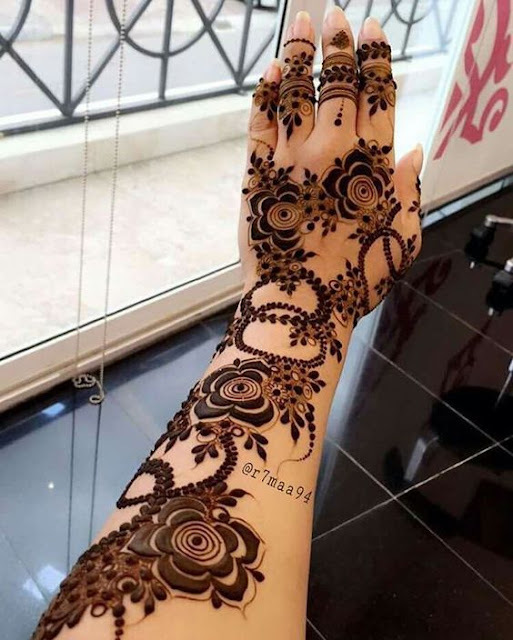 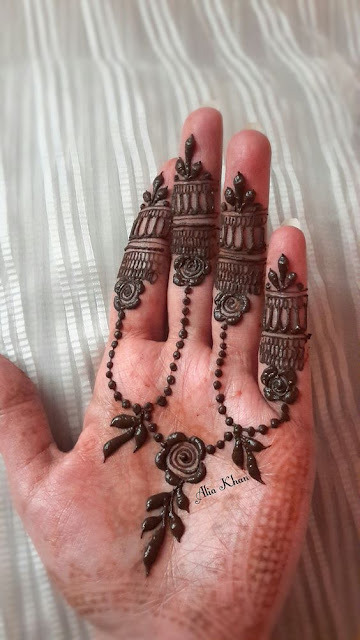 Here I bring to you sme very hatke and different mehndi designs featuring the romantic rose patterns. 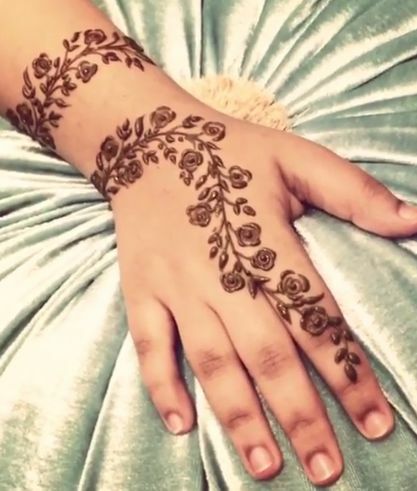 These designs are Ideal for the young modern bride or for romantic occasions like valentines. Do you like rose patterns in your mehndi?